Type 1 diabetes is the most frequent endocrine disease in children, with 65,000 children diagnosed worldwide every year. Up to 80% of these children present with diabetic ketoacidosis (DKA), which is associated with both short-term risks and long-term consequences. This study aimed to characterise the worldwide variation in presentation of type 1 diabetes to inform future interventions to reduce this excess morbidity and mortality. This was a systematic review of studies indexed on PubMed, EMBASE, Web of Science, Scopus or CINAHL before March 2011 that included unselected groups of children presenting with new-onset type 1 diabetes, reported the proportion presenting with DKA and used a definition of DKA based on measurement of pH or bicarbonate. Sixty-five studies of cohorts comprising over 29,000 children in 31 countries were included. The frequency of DKA at diagnosis ranged from 12.8% to 80%, with highest frequencies in the United Arab Emirates, Saudi Arabia and Romania, and the lowest in Sweden, the Slovak Republic and Canada. Multivariable modelling showed the frequency of DKA was inversely associated with gross domestic product, latitude and background incidence of type 1 diabetes. This is the first description of the variation in frequency of DKA at presentation of type 1 diabetes in children across countries. It demonstrates large variations that may, at least in part, be explained by different levels of disease awareness and healthcare provision and suggests ways to decrease the excess morbidity and mortality associated with DKA at diagnosis. The online version of this article (doi: 10.1007/s00125-012-2690-2) contains peer-reviewed but unedited supplementary material, which is available to authorised users. Diabetic ketoacidosis (DKA) is a metabolic derangement characterised by the triad of hyperglycaemia, acidosis and ketosis that occurs in the presence of very low levels of effective insulin action. It is the leading cause of mortality in children with type 1 diabetes [1, 2] and is associated with increased morbidity and healthcare expenditure: DKA at diagnosis is associated with a lower frequency of partial remission [3, 4] and less residual beta cell function [5, 6], and the mean excess medical expenditure for one episode of DKA is over US$3,500 . The psychological effect of DKA at onset of type 1 diabetes has not been studied, but children later hospitalised with DKA have a higher number of psychiatric disorders, lower self-esteem and social competence and worse relationships with their parents . Worldwide, approximately 65,000 children aged under 15 years develop type 1 diabetes each year  and up to 80% present with DKA. The worldwide variation in the incidence of type 1 diabetes in children has been well characterised by the WHO’s Diabetes Mondiale (DiaMond) project [9, 10], using standardised incidence data from 57 countries from 1990 onwards. Annual age-adjusted incidence varies over 350-fold, ranging from 0.1/100,000 in China to 40.9/100,000 in Finland . However, there is less evidence concerning the frequency of DKA at diagnosis. Data from 24 centres in Europe collected as part of the EURODIAB  project reported DKA frequency at diagnosis that varied from 11% to 67%, and an inverse correlation between background incidence of type 1 diabetes and frequency of DKA in 11 of the 24 centres. The variation in frequency of DKA at diagnosis of type 1 diabetes in children worldwide, however, remains largely uncharacterised. Characterising this variation is an important step towards identifying possible explanations for the differences and potentially informing the design of interventions to decrease rates of DKA. We have previously shown that, at an individual level, younger age, diagnostic error, ethnic minority status, lack of health insurance, lower body mass index, preceding infection, and delayed treatment are all associated with an increased risk of DKA, while having a first-degree relative with type 1 diabetes at the time of diagnosis and higher parental education appear to be protective . We therefore aimed to systematically review the effects of country characteristics on the frequency of DKA to provide the first comprehensive synthesis of worldwide data on the frequency of DKA and explore possible reasons for the variation. The search strategy has been previously described . We searched five electronic bibliographic databases (PubMed, EMBASE, Web of Science, Scopus and CINAHL) from inception to March 2011 using a combination of subject headings and free text incorporating ‘diabetic ketoacidosis’, ‘diabetes and ketoacidosis’ and ‘diagnosis’ and limited to infants, children or adolescents (see electronic supplementary material [ESM] Methods for complete search strategy). We also manually screened the reference lists of all included papers. Included studies fulfilled all of the following criteria: (1) published as a primary research paper in a peer-reviewed journal; (2) included cohorts of children and young people presenting with new-onset type 1 diabetes who had not been selected based on other characteristics; (3) reported the proportion of children presenting with DKA; and (4) included a measurement of either pH or bicarbonate in the definition of DKA. We chose to include studies that defined DKA based on measurement of either pH or bicarbonate as we wanted the search strategy to be broad enough to include studies from different international settings but rigorous enough to ensure that we were consistently identifying those children with objective evidence of metabolic derangement. We excluded studies of only highly selected groups, for example neonates, children being treated with high-dose steroids or receiving chemotherapy, as well as drug trials and conference proceedings. No restrictions were made for language, sample size or period of study, and we included all studies that included children and young people up to age 21. One reviewer (JUS) performed the search and screened the titles and abstracts to exclude papers that were clearly not relevant. Full-text articles were reviewed by at least two reviewers (JUS and FMW/MT) to assess eligibility, and consensus was used to resolve any disagreement between researchers. When either the definition of DKA was not given or we were unable to adequately interpret the data presented, we contacted authors for clarification. We also contacted the authors if papers reported collective data from multiple centres in order to obtain disaggregated data. We applied the Critical Appraisal Skills Programme guidelines for case–control and cohort studies as a framework for quality assessment and excluded studies with major limitations in methods or reporting . Data concerning study size, period of study, design (prospective or retrospective) and method of case identification were extracted and used as markers of quality for analysis. Characteristics of included studies were extracted independently by at least two researchers (JUS and FMW/MT) using a standardised form. These included markers of quality as well as the country or region of the study, eligible age range and definition of DKA. For studies that recruited children over more than one time period, we used data only from the most recent period, where possible. If this was not possible, data from all time periods were combined. Multivariable regression analysis was performed using R (version 2.15.1) with frequency of DKA as the dependent variable and four features of the country where the study was performed (background incidence of type 1 diabetes, gross domestic product [GDP], expenditure on healthcare as a percentage of GDP, and latitude) as independent variables. In addition, we included four study-level characteristics (study size, period of study, design and method of case identification) in the regression analysis. The inclusion of study size provided a weighting for each study and adjustment for potential confounding by the number of children included in each study. 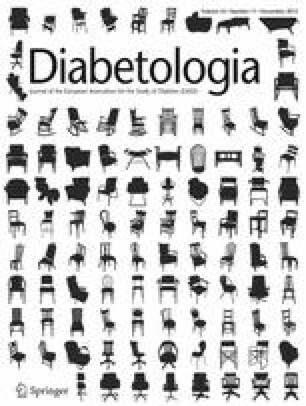 The period of study, design and method of case identification in turn allowed adjustment for changes in the background incidence and diagnosis of type 1 diabetes over time, the possibility of recording and recall bias in retrospective studies and the rigour of case identification. At the country level, the background incidence of type 1 diabetes was included as it has been shown to be related to the frequency of DKA. GDP and expenditure on healthcare as a percentage of GDP were included to explore the effects of economic and healthcare factors on the frequency of DKA, and latitude because the incidence of type 1 diabetes has been reported to vary with latitude [14, 15]. Other potential confounding factors identified previously, such as age, ethnicity and family history of type 1 diabetes could not be included as few studies reported on these individual characteristics of recruited children. We defined study size as the total number of children with type 1 diabetes included in the study. The study period was converted to a numerical scale using the mid-year of each study and numbering each year upwards from zero for the earliest study. Study design and method of case identification were dichotomised as follows: design as prospective or retrospective; and method of case identification as internal hospital or clinic records (children recruited by examining hospital or clinic records or by requesting local healthcare workers to examine records to provide a list) or external register, database or surveillance cohort (children identified via externally held registers or databases or through established surveillance cohorts). In the last group, the external registers and databases included registers for drug reimbursement, registration for exemption from payment for medication, national drug registries and systems for insulin delivery. This distinction was selected as we felt studies that relied solely on internal hospital or clinic records were at greater risk of inclusion bias. The background incidence of type 1 diabetes was obtained from the included studies or those performed by the same research group that reported rates for the same population. When this was not possible, a literature search was performed by first reviewing the reference list of the study and then searching PubMed for studies reporting DKA incidence in the city, region or country. Where possible, incidence data from the same city or region were used, but where such data were not available, data for the whole country or the closest region in the country for which data were available were used. Data were not available for two countries (Turkey and the United Arab Emirates), so values from neighbouring countries (Jordan and Oman) were used, as in the International Diabetes Federation Diabetes Atlas . To allow for changes in the background incidence of type 1 diabetes over time, values were only used when the period of collection of the incidence data included the mid-year of the study period. If values were available for individual years, the incidence in the mid-year of the study period was used. The latitude of the location of each study was obtained from the online World Atlas (www.worldatlas.com, accessed 23 June 2012) and the modulus of the latitude used for analysis. When studies were nationwide or included multiple centres within a country, the latitude of the mid-point of the country was used. We obtained the GDP for each country for the mid-year of each study from the International Monetary Fund World Economic Outlook Database (www.imf.org/external/pubs/ft/weo/2011/01/weodata/index.aspx, accessed 30 Oct 2011). For two countries (the Slovak Republic and Slovenia) values were not available for the mid-year of the study (1991) so values from 1993 and 1992, respectively, were used which were still within the period of study. The expenditure on healthcare as a percentage of GDP was obtained for the mid-year of each study using the WHO Global Health Observatory Data Repository (www.who.int/gho, accessed 23 June 2012) for studies after 1995, and the Organisation for Economic Co-operation and Development Health Data (http://stats.oecd.org, accessed 23 June 2012) for those before 1995 (when WHO data were not available). Data were not available for the mid-year of the study for ten studies, so values from 1995 were used, which were still within 2 years of the study period. Data were not available for any years within 2 years of the period of study for one study (Table 2). Generalised linear modelling for proportion data and standard linear modelling showed significant overdispersion and heteroscedasticity, respectively. Box–Cox analysis suggested a log transformation and this was found to model the data well. We therefore used multivariable linear regression of log transformed DKA frequencies against the explanatory variables. Stepwise removal of non-statistically significant variables with ANOVA testing at each step showed that removal of any of the variables did not affect the others. After duplicates were removed, the search identified 1,441 papers, of which 1,333 were excluded as clearly irrelevant and a further 63 after full-text assessment. There was complete agreement between researchers throughout this process. The most common reasons for exclusion were failure to use a definition of DKA that included either pH or bicarbonate, duplication of data or no data for children with new-onset diabetes (Fig. 1). Two studies were excluded based on quality alone. The first because we were unable to adequately interpret the numerical data after contacting the author, and the second because of a large amount of missing data. A further 12 papers were identified through citation searching. One paper compared incidence of type 1 diabetes at presentation between south-east Sweden and Lithuania and so is reported as two studies . Another  reported the mean frequency of DKA across 24 centres in Europe. After contacting the authors we were able to obtain data for 11 of these centres individually. Results from three of these centres had been reported in other included papers in greater detail, leaving eight studies for inclusion from that paper. This review is therefore based on 65 studies. The 65 included studies provided data on over 29,000 children (range 10 to 3,947) from 31 countries across five continents (two from Asia, 21 from Europe, three from the Middle East, two from North America, two from Oceania, and one from South America) (Table 1). Notably, many large countries, such as South American countries, India, China and Japan, are not represented and there are no studies for the whole continent of Africa. All included studies were cohort studies. Most recruited children retrospectively from hospital or clinic records, with study lengths ranging from 1 to 17 years, and the periods of study covering a 30 year period from 1978 to 2008. Most included children up to age 15 (n = 29), 16 (n = 5) or 18 years (n = 13), with eight studies including young people between 18 and 21 years and one only those under 6 years. There was a wide range of definitions of DKA, all of which included either pH ≤7.2 to <7.36 or bicarbonate <15 to ≤21 mmol/l. Table 2 shows the frequency of DKA at diagnosis in each study, together with the background incidence of type 1 diabetes, latitude, GDP and expenditure on healthcare as a percentage of the country’s GDP. The frequency of DKA varied sixfold, from 12.8% in Sweden to 80% in the United Arab Emirates and from 16% to 67% when only those studies defining DKA by pH < 7.3 were included. Ranking of countries according to frequency of DKA (Fig. 2) demonstrated that the highest frequencies were seen in the United Arab Emirates (80%), Romania (67%), Taiwan (65%) and Saudi Arabia (59%) and the lowest in Sweden (14%), Canada (18.6%), Finland (22%) and Hungary (23%). Three studies had incomplete data (Table 2) and were, therefore, excluded from the regression modelling. Initial linear modelling showed that GDP and latitude were strongly collinear and therefore it was only possible to include one. Latitude was chosen as it explained more of the variation. The final model (Table 3) shows that latitude and background incidence of type 1 diabetes were significantly associated with frequency of DKA, with frequency decreasing progressively with distance from the equator and in areas with a higher background incidence of type 1 diabetes. Although not reaching statistical significance, there was also an inverse association between expenditure on healthcare as a percentage of GDP and frequency of DKA. No significant associations were found for study size, period of study, design or method of case identification. These associations were the same when latitude was replaced with GDP, showing that GDP is also inversely associated with frequency of DKA. After adjusting for study size, period of study, design, method of case identification, expenditure on healthcare as a percentage of GDP, and latitude, the frequency of DKA decreased by approximately 10% as the annual background incidence increased from 10 to 30 cases per 100,000, with greater changes at lower background rates. R 2 for the model was 0.56, indicating that a large amount of the variation was explained by these factors. This systematic review provides the first comprehensive synthesis of the international variation in frequency of DKA at presentation of type 1 diabetes in children. The frequency of DKA at diagnosis ranges from 12.8% to 80%, and is lowest in Sweden, the Slovak Republic and Canada and highest in the United Arab Emirates, Saudi Arabia and Romania. The frequency of DKA is lower in countries where the background incidence of type 1 diabetes is higher and in countries further from the equator and with a lower GDP. Although not statistically significant, there is also an association (p = 0.058) between frequency of DKA and expenditure on healthcare as a percentage of GDP. The association with background incidence may be due to increased awareness of the condition and hence earlier detection, or it may reflect a different subtype of disease. The association with latitude may similarly reflect different subtypes of disease or geographical factors and is also likely to include socioeconomic factors, including GDP and health expenditure. The importance of these findings is that they suggest the variation may, at least in part, be explained by different levels of awareness of the disease and healthcare provision. Given that these factors are amenable to change, there is the potential to decrease the excess morbidity, mortality and healthcare expenditure associated with DKA at diagnosis. Our broad inclusion criteria and systematic search encompassing multiple databases, not limited by language or study size, provided data on over 29,000 children from 31 countries. While this allows us to make comparisons across multiple countries, it also increases the heterogeneity of the included studies. In most studies, the primary source of ascertainment was internal hospital records or notifications by paediatricians and family doctors, with only 19 studies including a secondary source. Furthermore, many of the studies were retrospective and relied on hospital records for the data and so are subject to recording and recall bias. However, these factors (method of case identification and study design) and study size and period were not associated with the variation in frequency of DKA, suggesting that they are unlikely to account for the differences seen. This cannot, however, adjust for variations in ascertainment of both children with type 1 diabetes and those with DKA. It also fails to take account of other potential confounding factors such as age, ethnicity and family history of type 1 diabetes, which have been described previously . Unfortunately, few studies reported individual characteristics of recruited children so these could not be included in the modelling. Included studies also used a wide range of definitions of DKA, reflecting different international settings and periods of study. Only one  used the current diagnostic criteria for DKA published by the International Society for Paediatric and Adolescent Diabetes . However, our inclusion criteria limited studies to those with a measurement of pH (pH ≤ 7.2 to <7.36) and/or bicarbonate (<15 to ≤ 21 mmol/l) and so, while being broad enough to include studies from different countries, consistently identified those with worse metabolic derangements. Although the absolute frequency of DKA may vary with different definitions, it is unlikely that this alone would account for the variations seen. The wide range of definitions used precluded comprehensive sensitivity analyses, but inclusion of only those studies defining DKA by a pH < 7.3 (n = 18) still demonstrated a variation from 16% (in Sweden) to 67% (in Romania) (Fig. 2). Although the included studies represented 31 countries, 21 of these—providing data for 18,164 (62%) of the children—were European. The USA and Canada accounted for a further 7,873 (27%), with only 3,122 (11%) children from outside these countries. Many large countries, including South American countries, India, China and Japan, were also not represented and no studies came from any country in Africa, where DKA is known to be a major problem . This lack of data is itself an important finding of this review, but limits the range of included values of latitude, GDP and expenditure on healthcare as a percentage of GDP, and the extent to which the conclusions can be generalised worldwide. Although the nature of this study prevents statements of causality and the quality of the data limits the conclusions that can be drawn, there are a number of explanations for why these observations might be causal. The inverse relationship between frequency of DKA and background incidence of type 1 diabetes worldwide is consistent with previous reports of this relationship in Europe . This may reflect the overall awareness of the condition in a given country along with the capability of its healthcare system to quickly initiate the appropriate treatment following diagnosis . Better disease recognition through improved awareness of diabetes is also supported by the findings that children from families with higher parental education are less likely to present in DKA and having a first-degree relative with diabetes is associated with an up to six-fold decreased risk of DKA at diagnosis . However, it remains unclear why some children present in DKA while others do not and whether the development of DKA is a consequence of patient or clinician delays, or whether it indicates a particularly aggressive form of diabetes . It is possible that the observed associations reflect heterogeneity in the underlying disease, with more aggressive disease in those countries with lower incidence. This phenomenon may also explain the considerable geographic variation in the prevalence of long-term diabetic complications . There are also a number of possible explanations for the association of frequency of DKA and latitude. The most likely is that latitude represents a group of characteristics for each country, including economy, healthcare provision, access to healthcare and disease burden. The co-linearity between latitude and GDP suggests that a large proportion of the variation in DKA is due to differences in a country’s economic position and healthcare provision, with a higher frequency of DKA in countries with lower GDP and hence lower expenditure on healthcare. This is not surprising as there is robust evidence for a similar relationship between life expectancy and GDP , and poorer countries account for the largest share of the global burden of disease . Several ecological studies have also shown that the type 1 diabetes incidence rates correlate strongly with indicators of national prosperity such as GDP and low infant mortality [25, 26] and that microalbuminuria and neuropathy are significantly associated with health system performance, gross national investment per capita and purchasing power . However, some of the effect could reflect true geographical differences. The increased frequencies of DKA in countries nearer the equator may be because hotter climates lead to more rapid dehydration and metabolic decompensation, particularly in young children, who have less metabolic reserve . Finally, there is also growing evidence for a role for vitamin D in the pathogenesis of type 1 diabetes. The active metabolite of vitamin D, 1,25-dihydroxyvitamin D, is a potent immunomodulator that enhances the production and secretion of insulin from beta cells, and vitamin D deficiency in utero and early childhood is associated with an increased risk of type 1 diabetes [29, 30, 31, 32]. Although children living near the equator are less likely to be vitamin D deficient, differences in levels of vitamin D may contribute to the variation seen. We found little or no data on the frequency of DKA, or even type 1 diabetes, for large areas of the world, particularly Africa and South and East Asia. Infectious diseases currently dominate childhood morbidity and mortality in these regions, so reliable indicators of diabetes and DKA may only be possible with strengthened epidemiological surveillance of the growing burden of non-communicable diseases . The factors addressed in this review also only account for a proportion of the international variation, suggesting the need for further research using standardised data including factors known to affect the frequency of DKA and other potential contributors, e.g. access to healthcare, population density, genetics, patient education and healthcare resources for diabetes. We also need to understand better the causes and long-term consequences of DKA: in particular, whether DKA simply reflects delayed recognition and treatment and whether long-term clinical findings merely indicate greater beta cell destruction at that moment, or reflect a more aggressive form of diabetes. Nevertheless, the finding that in some countries the frequency of DKA is less than 15% and that the variation may, at least in part, be explained by different levels of awareness of the disease and healthcare provision, suggests there is considerable scope to decrease the excess morbidity, mortality and healthcare expenditure associated with DKA at diagnosis of type 1 diabetes. The effect that campaigns to improve awareness can have locally has been demonstrated from a community intervention in Italy, in which posters were displayed in schools, and paediatricians were provided with blood glucometers and cards listing guidelines for early diabetes diagnosis to give to parents; the frequency of DKA at diagnosis fell from 78% to 12.5% [33, 34]. This review provides support for the development and evaluation of further country-specific diabetes education programmes, particularly in those countries where the frequency at diagnosis is highest. We thank I. Kuhn, Reader Services Librarian, University of Cambridge Medical Library, for her help developing the search strategy and D. Dunger and S. Griffin for helpful advice throughout the study and, together with J. Mant, for commenting on the manuscript. We also thank the EURODIAB co-ordinators, C. Lévy-Marchal and A. Green, for providing data for individual centres within the EURODIAB study. JUS is supported by a National Institute for Health Research Academic Clinical Fellowship, FMW and AE are employed by the University of Cambridge, and MT is funded by a Career Development Fellowship supported by the National Institute for Health Research. This report is independent research and the views expressed in this publication are those of the authors and not necessarily of the NHS, the National Institute for Health Research or the Department of Health. All authors declare no support from any organisation for the submitted work, no financial relationships with any organisations that might have an interest in the submitted work in the previous 3 years and no other relationships or activities that could appear to have influenced the submitted work. JUS performed the literature search, selected articles for inclusion, extracted the data, planned the analysis and wrote the first draft of the manuscript. FMW and MT selected articles for inclusion, extracted the data and reviewed and edited the manuscript. AE performed the statistical analysis and reviewed and edited the manuscript. All authors approved the final version.